Anderson Cooper's interview with Stephanie Clifford, the adult film star known as Stormy Daniels, is set to air on "60 Minutes" on Sunday, March 25. The interview was taped last week. The air date has not been officially announced. But two sources involved with the story told CNN that it has always been slated for March 25. 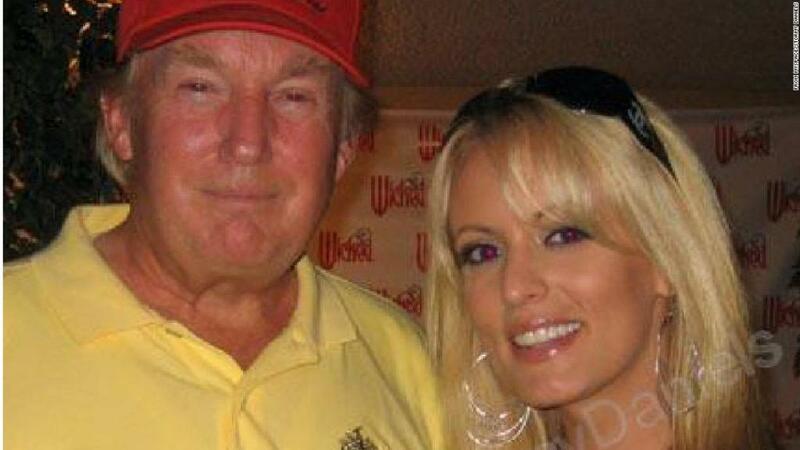 There have been loud calls -- particularly from Trump critics -- for CBS to televise the interview sooner, given the swirling questions about her alleged relationship with Donald Trump and her acceptance of hush money shortly before Trump was elected president. Trump's lawyer and the White House have denied allegations of an affair. The newsmagazine routinely takes weeks to edit its stories. In this case, "60 Minutes" producers wanted time to vet the allegations that Clifford leveled in the interview. There were also some practical scheduling concerns. When Cooper landed the Daniels interview, CBS had already announced an exclusive interview with the Saudi crown prince Mohammed bin Salman. Norah O'Donnell's sit-down marked the first time a U.S. TV network has interviewed a Saudi leader since 2005. The hard-to-move interview is airing this Sunday. A CBS spokesman declined to comment on the Clifford interview. "60 Minutes" usually doesn't announce its stories until a few days before air. But Cooper's interview with Clifford was revealed when her publicity-savvy lawyer Michael Avenatti tweeted out a picture of them together last week. Since then, the content of the interview has been shrouded in mystery. The interview is a scoop for both Cooper and "60 Minutes." Cooper is both a full-time anchor on CNN and a part-time correspondent for "60 Minutes." He has been a contributor to the newsmagazine for over a decade. Avenatti said on CNN's "New Day" on Friday that he doesn't know the "definitive date" of the interview, but had read a Washington Post report that March 25 is the tentative date. Referring to CBS, he said, "They want to make sure they get it right. They're crossing every t, they're dotting every i, they understand the importance of this." Avenatti also said that Daniels "was physically threatened to stay silent." He did not say who threatened her, but he indicated that the "60 Minutes" interview contains more information. Clifford can provide "very specific details," he said. "When people tune in, I think they're going to learn what happened."